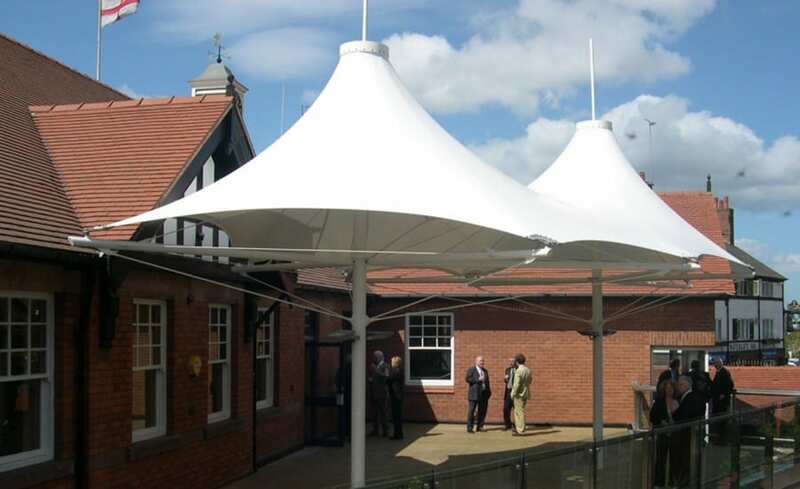 When one of the countrys leading racecourses wanted to spruce up its outside space by installing a number of umbrella canopies, Architen Landrell was very keen to be involved. The bar terrace area is a key part of the racing experience a place where visitors can watch their horse run to victory while they sip their celebratory champagne, therefore, designers were keen to give it an up-market image. Architen Landrell was delighted to be chosen to carry out the works. 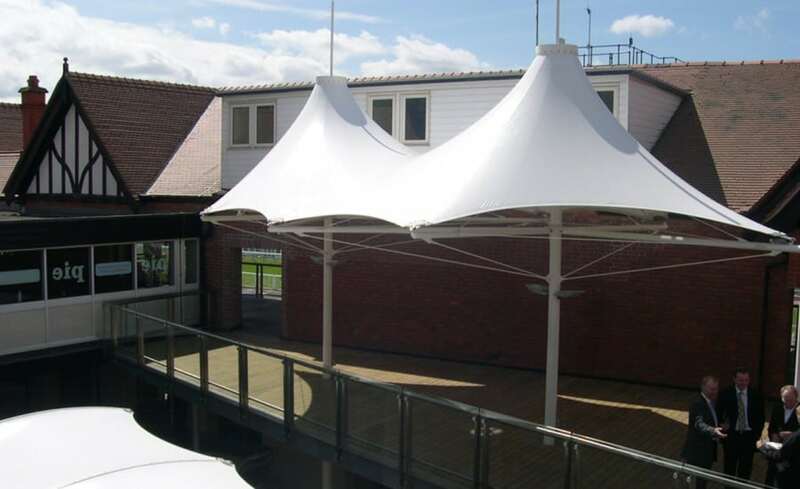 Having worked previously at the racecourse on the Champagne Bar canopy, they had built up excellent relationships with both the client and contractor, RCL. 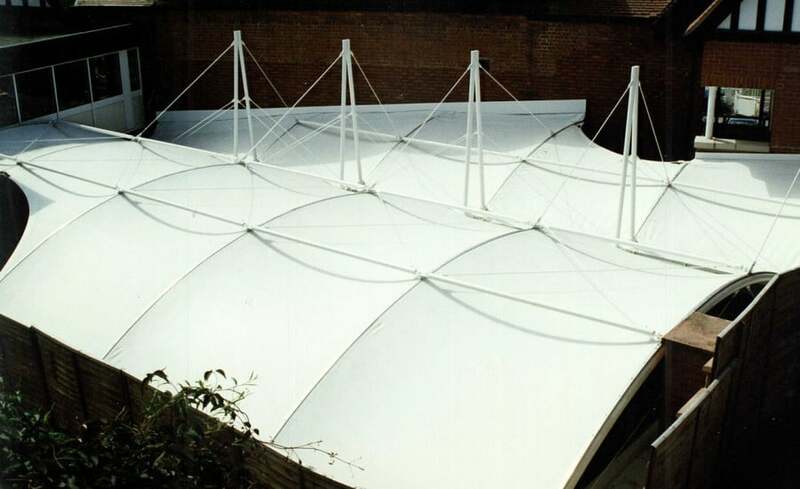 The scheme involved the design and manufacture of two twin coned PVC coated polyester canopies installed on the bar terrace to provide style and shelter for the race goers. Architen Landrell also took charge of the design, manufacture and installation of the glass and stainless steel balustrading system and a Luxalon Ceiling to the underside of one of the terrace floors. 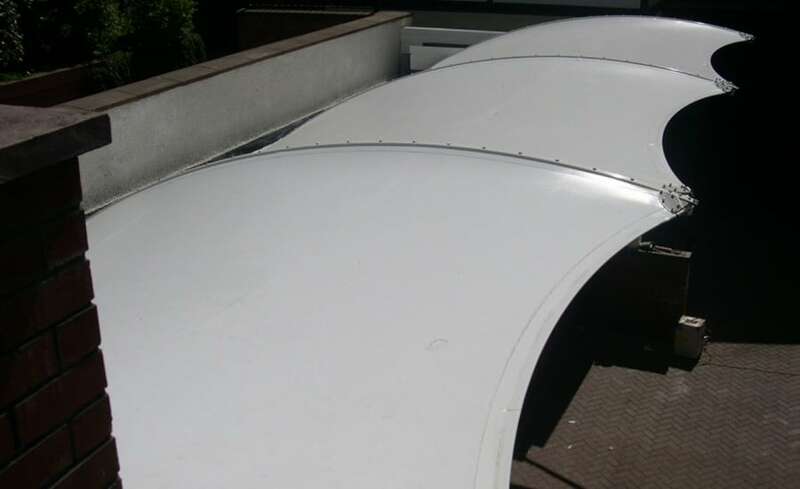 Additionally, there was an existing PVC barrel vault ground bar canopy, which we refurbished. Interestingly, this project had to be carried out under the Green Guide building regulations. This meant that all building materials and components had to be assessed for their impact on the environment, with extra emphasis on cradle to grave planning. With environmental impact becoming increasingly important, the Architen Landrell team undertook this challenge with excitement and was thrilled to pass the test at Chester Racecourse!